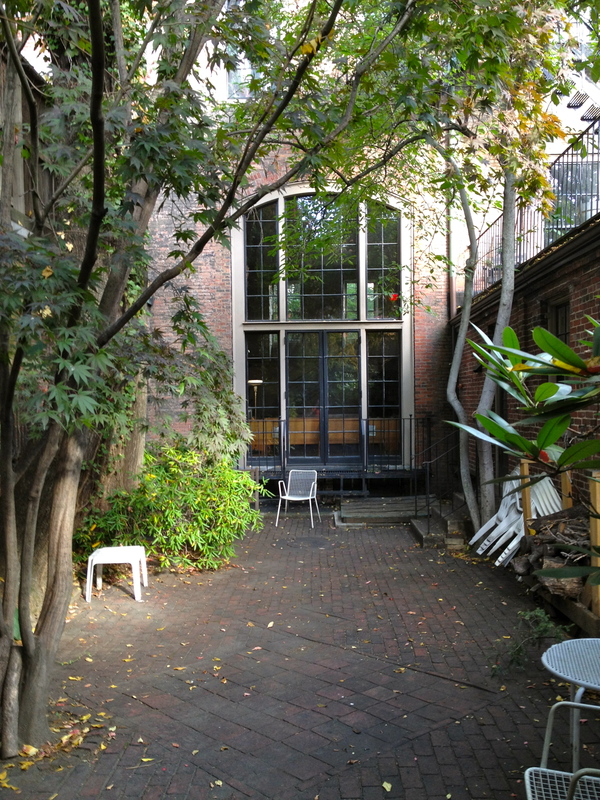 Coming back from our last trip, I realized how much Beacon Hill Friends House had become home. I began wondering what it is that makes a place a home. I imagine it’s different for everybody. For me, the physical attributes for a place to be home are minimal: good light, a comfortable place to sit, books (of course! ), a few cherished things and easy access to outdoors. It helps if the place is relatively neat, but that doesn’t always happen with us. The physical environment is the least of it for me. Primarily it’s about the people. First, I’d have to say, home is where Bill is. We’ve been married twice as long as we lived before marriage. Home is where we sheltered children and aging parents. But, we sheltered them more with ourselves than with a specific physical environment. Home is a place where it’s ok to be who and how you are. Not long after returning from a trip I was sitting in the kitchen writing while one housemate made dinner and various people wandered through. I could have gotten more done in the quiet of the library. But, I woke up really crabby that day – jet-lagged and discouraged by the clutter in our room. 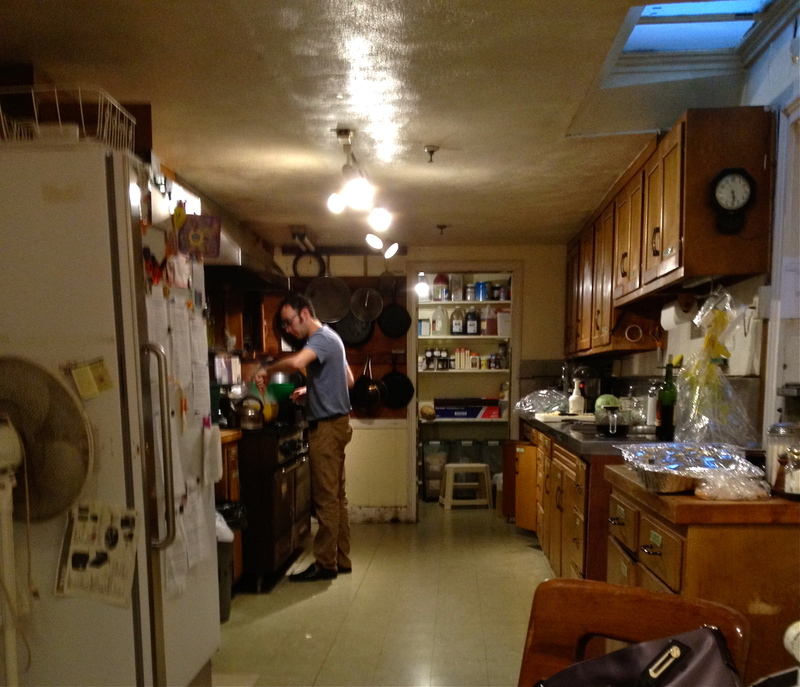 There was something comforting about the kitchen and mood elevating about the presence of those who wandered through. Home, among other things, is the place I retreat to when things aren’t going my way, the place where people help me feel better without necessarily knowing I feel bad. So, yes, Beacon Hill Friends House has become home. The light is good, I have comfy places to sit, books, a few cherished things and easy access to outdoors. Most importantly, Bill is there. We can welcome our kids, grandkids and friends into the space. We are free to be ourselves and are greeted with hugs and joking and good conversation. We can be who we are. What more could we want? What makes home for you? This entry was posted in Community, Home and tagged Beacon Hill Friends House, Posted by Carol Mitchell. Bookmark the permalink. Light! I cannot come home to a house with no lights on, so we always leave a small lamp on (with a CFL in it), even when we’re gone for a month. And neatness matter to us. We want to step into a home that doesn’t demand attention because all (or most) is in its place. And a view of the sky. Wonderful thoughts, Carol. I’d also add that home is where you can go to bed whenever you want without offending anyone. Or where I can get up before dawn to have tea and read the papers fresh out of the plastic. And where there’s my favorite ice cream in the fridge that I can eat out of the container, even before dawn (any ice cream is my favorite…). And where I can play my guitar. Badly. Hi, Carol. What a lovely reflection; thanks for it. Home, to me, is a place where the art on our walls speaks of the generations. We have photos of ancestors who died before we were born, and of our parents when they were young. And we have masterpieces by our kids, drawings and finger paintings that were framed back when the grade-schoolers were proud of them and will NEVER be taken down, as much as the young adults now profess to be embarrassed by them. Home is where my husband, Ken, is. It’s where I can work all day in my robe on a day I don’t have any commitments outside the house. It’s where I can relax and be myself and nobody minds if it gets messy and we don’t clean the house until the next time we’re having guests.